Why is it so important to Stage a Vacant Home? 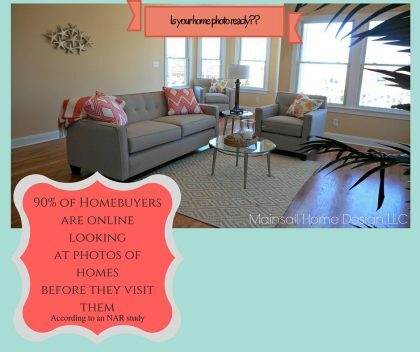 People Don’t Buy Houses, They Buy Homes – Buyers want warm and inviting, not bare and sterile. Without Furniture, There Is No Frame Of Reference – A good floorplan layout helps the buyers visualize where to put their things and feel home. When A Room Is Kept Empty, Buyers Focus On Negative Details – We accentuate the positive architectural features of the rooms through furniture placement and accessories. Only 10% of Home Buyers Can Actually Visualize the Potential of Home – Sometimes having no furnishings at all is worse than having too many! Vacancy Rate Is At All-Time High – Your home needs to differentiate from all the empty homes on the market that will continue to stay there without considerable price decreases. *While it’s difficult to think of spending more money on a house that you are trying to sell, keep in mind that 3 months’ worth of staging is less than even the smallest price reduction!